This improvised manicure is ripe for the Oscars red carpet. I’ve used a sea green and silver combo but this design will work in almost any colour and texture you can imagine. Classic black and gold or pastel pink and mint are just 2 examples. 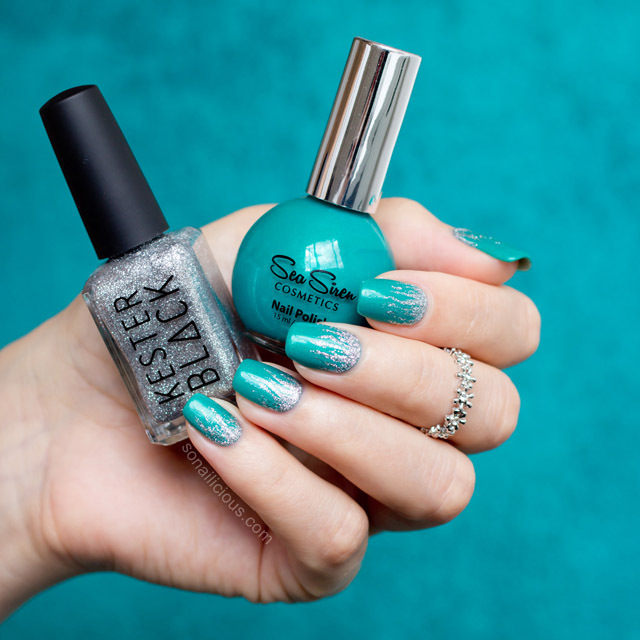 The main feature of this nail art is a bright greenish-blue creme with a silver micro-shimmer from Sea Siren called Jealousea. After deciding to add silver accents I realised the design needed a flowing shape rather than something geometric. So I chose a pattern resembling flames as I still wanted it to be edgy. The thick silver micro glitter, Kester Black Sugar Daddy, was perfect for that. 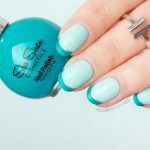 To get the look: paint all nails with opaque sea green polish. Then with a striping nail art brush, paint silver flames. Make sure you outline the nail bed to cover any green areas to get that gradient like flame-effect. Once all nails have their flames, seal your design with 2-3 coats of quick dry glossy top coat and you’re done! Used: Sea Siren Jealousy, Kester Black Sugar Daddy and Sally Hansen Diamond Flash top coat. 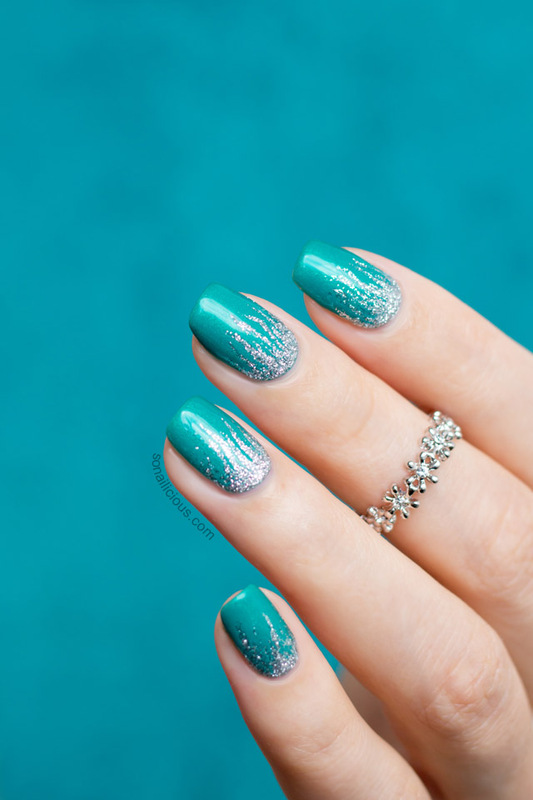 What do you think about this silver and green nail art? 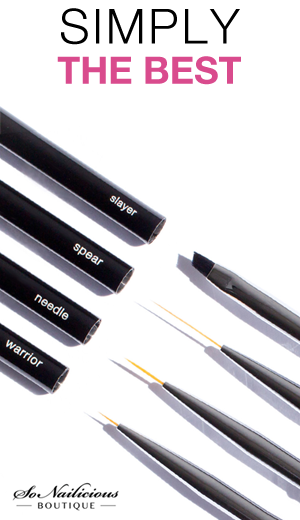 Important: Do you have your nail art brushes yet? 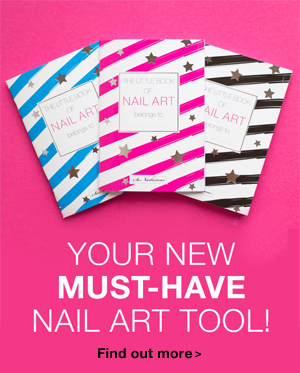 I hope so, because we’re launching something exciting in a couple of weeks and for that my dear readers, you’ll need a nail art brush and dotting tools! Also, make sure you follow us via Bloglovin or subscribe to our Weekly Newsletter – to find out about the launch first.